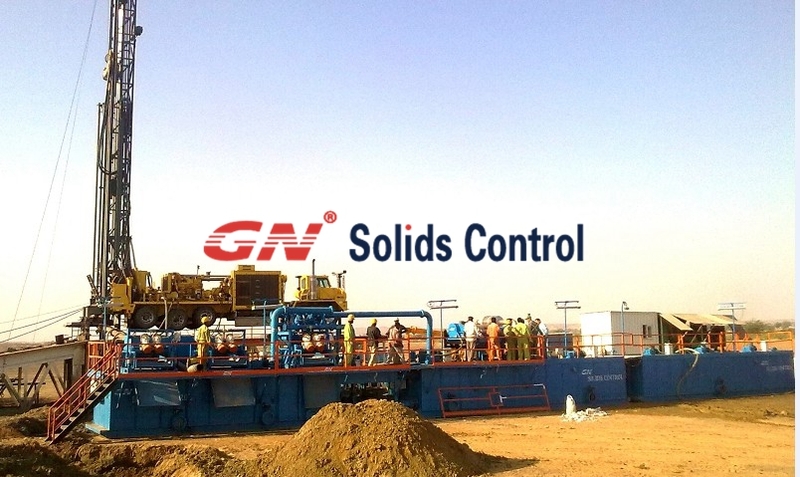 Normally for 1000HP drilling rig, or for the drilling rigs drilling holes upto 3000~4000m; we recommend 200cubic meters mud systems. The system contains two linear motion shale shaker, GNZS703 / GNZS594, then a GNZCQ270 vaccum degasser, one GNZJ703-2S12N / GNZJ594-2S12N mud cleaner. Then for optional, we can have decanter centrifuge, company with feeding screw pump. Depends on the different drilling site. The system get 4 mud tanks, one for cleaning, one for mixing, and two mud tanks for storage. Normally we get tandom jet mud mixer on the mixing tank, while keep all clean tanks or compartments mixable. The mixed mud can reach all the clean mud, and can be transfered as required. GNLW363 14inch centrifuge with different fixed speed, or VFD panel for high /low gravity solids recovery. While except have optional choice for centrifuge, sometimes, if it is for geothermal project, we do not need vaccum degasser. That is also no problem, we have just sent one mud system to Turkey, which is for 1000HP geothermal drilling rig. No centrifuge, no vaccum degasser. Another customized option is mud tanks design. Then tanks can be customized layout as the rig site requried, also considering saving the inland freight cost, sea freight cost, and so on. Also if you have partners who is fabricating mud tanks, you can make by yourself, and GN will supply fully technique support. Drawings, and detaisl for your information. Welcome to visit CIPPE 2015 to visit our booth, to check all the equipment you maybe interested in. Also the drilling waste management system will be showed there. Contact us freely if you wanna come, and need any help on this.